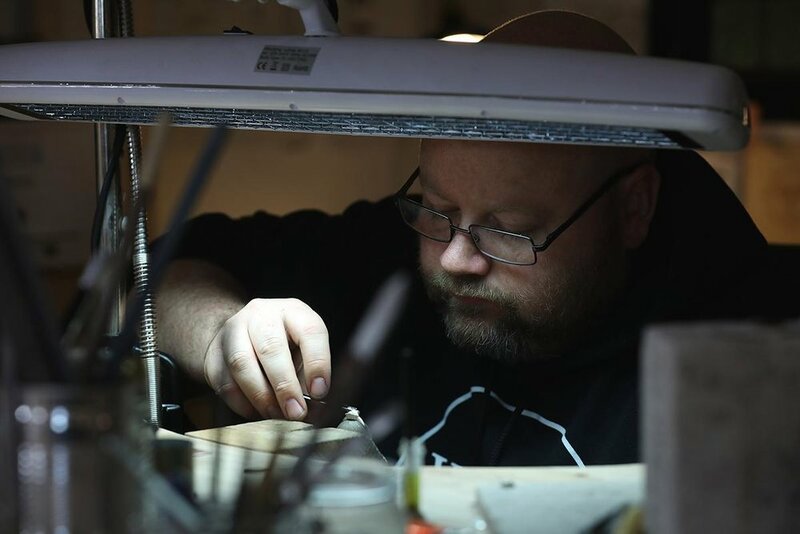 Last week we had the wonderful MakeWorks in the studio updating our directory entry on their site. Find out a bit more about what we do and the services we offer whilst watching their beautiful video. 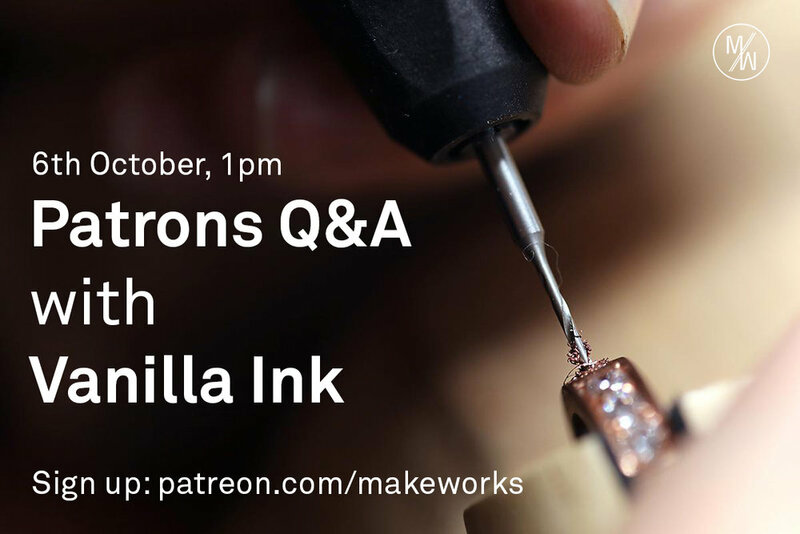 On Friday 6th of October we will be hosting a Q&A session as part of MakeWorks Patreon. You can ask us anything between the hours of 1-2pm but first you need to back the MakeWorks project. Scott is fair enjoying himself giving you his weekly updates from the bench. This weeks #tipstuesday is all about the jeweller's loupe! Scott shares with us a bit of history in this weeks toolpornthursday (but actually happened on Friday). Join us next week for our weekly roundup! SW | Last year I graduated from a BA(Hons) degree in silversmithing and jewellery from the Glasgow School of Art. Since graduating I have been based in Edinburgh but have now moved my practice back to Glasgow to be a part of the Vanilla Ink programme. SW | Before I started my degree I spent a year on a portfolio course at the Glasgow School of Art. I constantly found myself making and photographing it in relation to the body and how a piece could change through touch and movement. Jewellery design seemed to be a natural way to progress and continue making wearable pieces. SW | I mainly find my inspiration in the naturally occurring colour and patterns of costal landscapes. In particular I find shades of blue really attractive and often try to build up many shades of colours within my work. SW | When creating the main body of a piece I firstly carve wax into my desired design and then cast in silver. I then apply many thin layers of enamels to create deep colours and patterns. I use a combination of traditional and contemporary enamelling techniques to build up thin layers to form each tactile piece. SW | I enjoy experimenting with different ways of making and finding ways to solve design problems. I find overcoming these issues and making a wearable object extremely satisfying. SW | Fire stain! Fire stain creates tarnish on the surface of silver when it is heated and can be really difficult to get rid of, especially when my pieces tend to be quite irregular and textured. 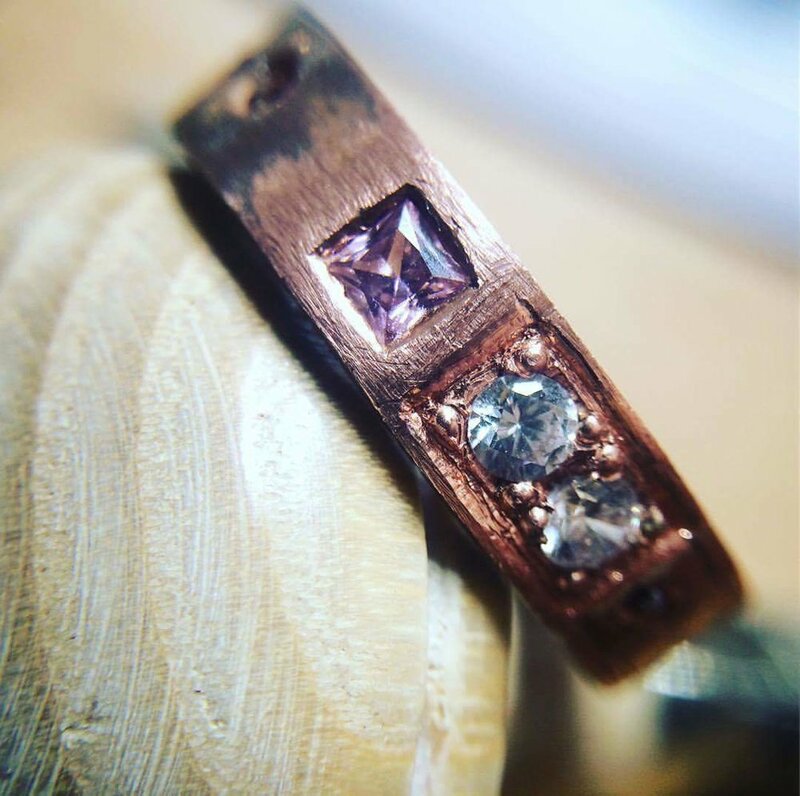 SW | I aspire to continue designing and making jewellery that hopefully people will love to wear as much as I loved to make. SW | My favourite piece is the first one I created for my “Porifera” collection. It is an enamelled brooch and I developed my own way of wax carving through the development of this brooch. It inspired me so much that I then created a whole collection based on it. SW | I really admire the works of Jessica Turrell and Scarlett Cohen French. I love how they use colour and pattern to inject so much life and movement into their work.